Poetry is an art form which has existed for centuries now. Poetry is said to be evolved from folk songs. It has been one of the most beautiful art forms of literature which also acts as the backbone for lyrical writing. 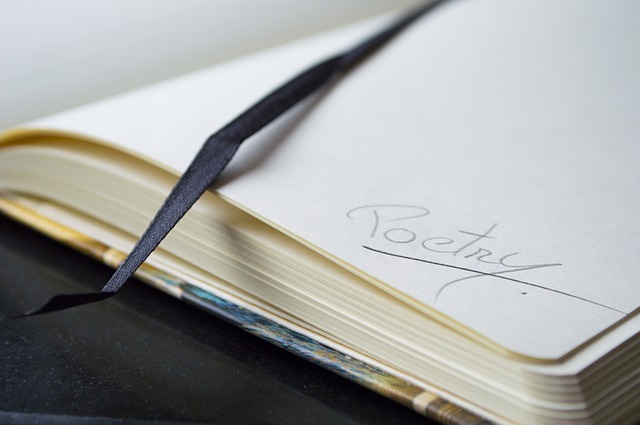 Poetry follows a rhythm which is what makes it different from fiction writing. Apart from encompassing every single emotion, Poetry can work like magic when it comes to pain. Emotional pain is often the backbone of a Poem. It works as motivation for the writing. As poets we have to acknowledge pain, don’t have to look away from suffering. And what poetry can do is that it can act as a coping mechanism for the pain. Words can open wounds but they can effortlessly fill them up too. Pain is meant to wake us up. People try to hide their pain. Which I would say is not the right way to go about it. Pain is something to carry. like a radio. You feel your strength in the experience of pain. It’s all in how we carry it. All the great cultures have revered poets — the Greeks, the British, the French, the countries of the Far East. In the Latin American cultures poetry is deeply intertwined with people’s lives. Little children love poetry. Its rhythm helps ease them into the world. Lovers’ emotions find expression in poetry. The bereaved often let poetry in, because it can say what mostly cannot be said. We don’t need to read and write poetry because it’s cute. We read and write poetry because we are members of the human race. And the human race is filled with all kinds of passion. All sorts of things that people chase, that people admire. Medicine, law, Finance, Engineering, these are noble pursuits and necessary to sustain life. They feed our body. But poetry, beauty, love, spirituality, these are what we stay alive for. These are the things that feed our soul. Reading can help us ease into our daily challenges. If we make poetry an integral part of our lives, it can change our lives from a scale of ‘a little’ to ‘in unimaginale ways’. ⟵I am an Indian, and I don’t hate Pakistan.